A 62-year-old Norwegian who recently retired after 24 years as an inspector at the Russian-Norwegian border is reportedly being held in prison in Moscow as a suspected spy. Norwegian foreign ministry officials said they haven’t received any formal charges from their Russian counterparts and thus couldn’t comment further. The 62-year-old Norwegian, identified as Frode Berg, was arrested in Moscow two weeks ago. He had just taken and posted a photo of himself while visiting Red Square, but his family in Northern Norway hasn’t heard anything from him since. It was later determined that Berg was arrested and Norwegian Embassy personnel have been in contact with him in prison. They’ve been allowed to assist him in line with international guidelines. Russian media reported Tuesday morning that a court in Moscow has now ordered that Berg be held in remand custody until February 5. According to the Russian media reports, he was arrested by Russian security forces from FSB for spying after allegedly receiving secret documents. Berg reportedly has appealed the custody order but it was unclear when that appeal may be considered. Frode Berg worked for the border commission in Sør-Varanger, Finnmark County, for more than two decades until he retired in 2014. He was known for being a strong proponent of Norwegian-Russian cooperation. Last year he was among those protesting the Norwegian government’s decision to build a fence along portions of Norway’s far northern border to Russia, following the refugee influx over the border in 2015. 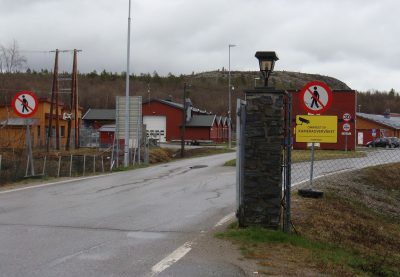 He had told friends and family in Norway that he intended to visit former border colleagues during his trip to Moscow. The Kirkenes-based Independent Barents Observer reported that after retiring three years ago, Berg has been doing volunteer work for the Red Cross and Pikene på Broen, a group of art curators who produce the local winter festival Barents Spektakel in Kirkenes. NRK reported that Berg allegedly received classified information about the Russian Navy from a former Russian police officer who was arrested on treason charges earlier this month. He’s also reportedly been ordered held in custody while Russia’s FSB investigates his alleged ties to the US’ CIA.